This post provides you the quick guides to buy things from Amazon USA and have it ship to Singapore for free, this guides also applicable to Amazon Free shipping to India too. You can get your Amazon order ship to Singapore and India for free with AmazonGlobal Saver, below are some key points to take note of. In order to enjoy the free shipping for your Amazon order, you must first purchase the eligible items, that is, the item has to be sold by Amazon USA only (item sold by third party and fulfilled by Amazon is ineligible), and your total purchase must be above US$125. If you refer to the product description on the product page, you can tell if a product is eligible for free shipping to Singapore. Under ‘Shipping' description: “This item is also available for shipping to select countries outside the U.S.” – that's means this product may be shipped to Singapore. Whereas, “Currently, item can be shipped only within the U.S.” means it would not ship to Singapore. However, even a product has met all the above criteria, the free shipping to Singapore or India may not be offered due to the size and weight of a particular product. If you refer to AmazonGlobal information page, they will recommend you to search for an eligible product through their International Shipping Search Page (www.amazon.com/global), the products listed on this page are eligible for international shipping. However, it is NOT SO RECOMMENDED to use this search page because the products shown on the results are quite limited, and throughout the searching process, it will mistakenly mixed up with some ineligible products. The best method is use the regular Amazon USA main page to search for your products and use the filtered option at the left panel, check the ‘AmazonGlobal Eligible' and Amazon.com under ‘Seller'. You can refer to this post for more in-depth tutorial. 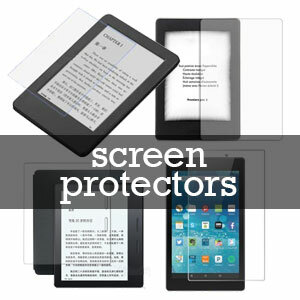 Alternatively, you can also use our pre-filtered AmazonGlobal Eligible Products Page; we have categorized all the products which are eligible for international shipping. 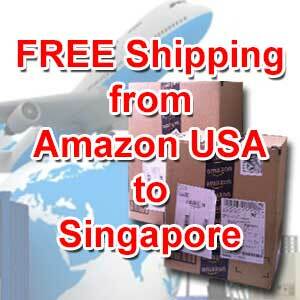 It is very comprehensive for you to select the product for free shipping to Singapore or India. Many people find that buy from Amazon USA is way cheaper than buying from Singapore retailer, if delivery time is not a concern for you; you will find that with free shipping from Amazon USA to Singapore can save you a lot of money. Many popular products like baby clothing, Babybjorn and Ergobaby Carrier, Fisher Price, Phillips Avent, Munchkin and Vulli Sophie the Giraffe Teether can be shipped directly from Amazon to Singapore for free. Some popular toys like Transformers, Star Wars and Lego are much cheaper to buy from Amazon USA with free shipping to Singapore. You may also find products that are not available in Singapore from Amazon. If you have purchased a single item which is more than SGD$400, then GST is unavoidable, Amazon will collect the tax from you in advance and they will handle all the custom clearance process. This is really a hassle-free shopping experience. Lastly, the delivery time of Amazon USA free shipping to Singapore takes about 2 weeks. However, the shipment takes shorter than 2 weeks during off seasonal period. They will ship out the product to you once it is available, so it is quite common to receive few packages from a single order and arriving on different dates. The fastest record we had was only 5 working days, the package was sent to us in a huge carton box via DHL express. Are your friends know about this information? Share with them on your Facebook. What if i want to purchase food? Hi, I am trying to buy some Corelle dinnerware sets at Amazon and they provide free shipping. However, they are charging me for duties (I am guessing it’s our 7% GST). How do I get Amazon to ship out in 2 shipments instead of 1 so as to avoid having to pay GST? You need to place 2 orders, if the price of single sets is exceeding SGD400, then there is no way to split into two order. Then, you need to compare, if add the 7% GST, will it still cheaper than buying locally? If it is cheaper, then worth buying. If I have gotten books from Amazon and want to refund them as I do not need them anymore, will they provide me with a postal label to be pasted on the parcel and reimburse me for the postage fee? For branded watches like Longines, Rolex, Breitling, etc, do I pay simply for Singapore’s 7% GST ? No other custom duty ? These watches can be as high as few thousands dollars. Thanks ! Sorry for the late reply, so far any purchase inclusive shipping charge total exceed SGD400 only need to pay 7% extra. This guide is very useful! And there’s one question from me. My item has already shipped. The estimated date of delivery is about 18 days from now on. I check the tracking number and find out they are using UPS Worldwide Expedited. I try to calculate the expected delivery date on UPS.com and it says about 6 days only. Which estimation should I trust? Monitor the progress inside your Amazon account, the info is quite updated, but however, sometime they deliver early than estimated date. What if you need to return your purchase? Do you know the most economically way to send it back to US? It depends on the reason why you would want to return, if it is due to defect, damage packaging or other ‘valid reason’, you can contact Amazon customer service and make a ‘complaint’, usually you will get either a refund or a replacement without the need of you returning the item to Amazon. If return is necessary, usually Amazon will send you a postal label, you will need to print and paste the label onto the item and ship it back via parcel (Singpost will do that job), normally they will reimburse you the postage fee. 1. Is it worthwhile buying iPad and hard drives from Amazon? 2. Can we ship food into SG? Not everything is eligible for free shipping to Singapore, do refer to our tutorial on how to buy item that is eligible for free shipping. If you are using the package forwarder service, you can buy most of the things on Amazon, but do make sure that the item is compatible to use in Singapore, e.g. power voltage for electrical items or mobile signal for phone or tablets. You can shipped certain dry food, but do check on Singapore custom website for more details on redistricted food items. Usually many IT gadgets are worth buying, e.g. Solid State Drive, toys, baby items, etc. If you find our website useful, do share it to your friends on Facebook to support us, thanks!